STRIVE TENNIS ACADEMY | Do it right and fight! Do it right and fight! If your child is between the ages of 8-13 feel free to contact us. Click the "contact us" link at the top of this page and fill out the form to get in touch with us about our program and how we can help your child reach their full potential in the sport of tennis. 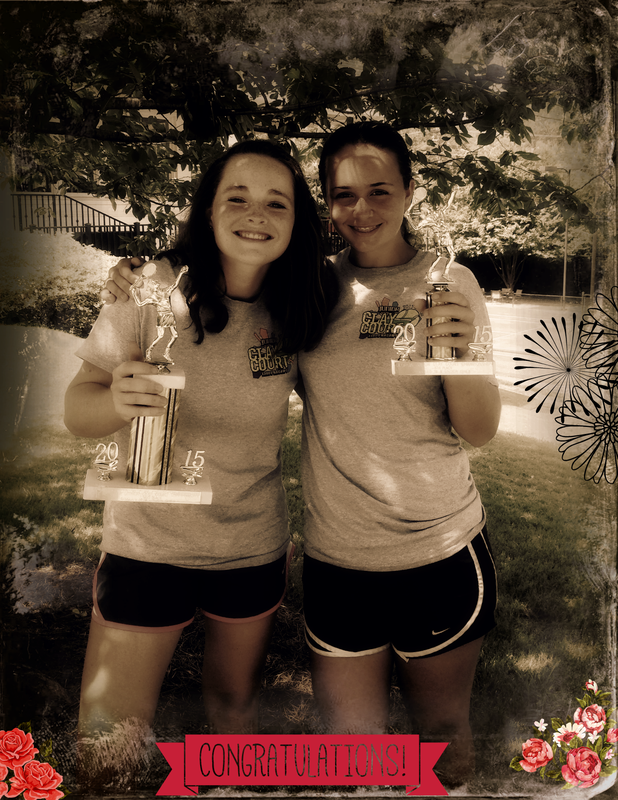 If so we will make you a CHAMPION! Nice Start to 2017…Titles Titles Titles- Amateur and Pro…They All Count! Rubin Wins Back To Back Titles Taking Pittsburgh 10K Pro Title! Nice start to the year culminating from a strong off season of training in December. 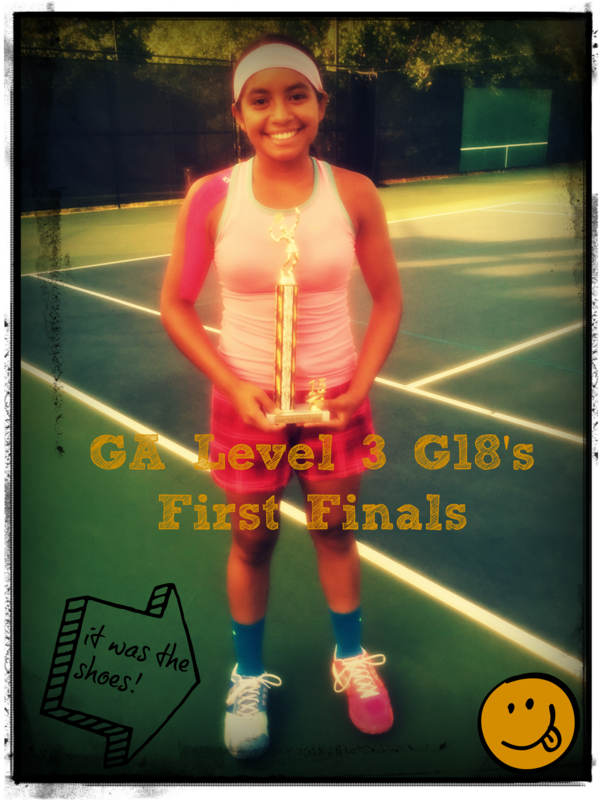 15 year old Maria Way won her first ever Girls 18’s Ga Level 3 event! 15 year old Kaitlyn Chalker won her Girls 18’s Ga level 4 title and student Rubin (Jose) Statham won his first pro title of the year taking the 15K in China and in quarterfinals already of the next 15k as we speak. Nice mental growth and game improvements from all the above. 2017 is going to be a fun year of continued striving for the top or our top! You would think Rubin (Jose) was from America and not New Zealand…as he provided some inspiring fireworks for the crowd on July 4th weekend in Pittsburgh at the Men’s 10K pro event. Well it’s now been 7 weeks with us here at Strive and Rubin is on quite a tear with a 13 match win streak and back to back titles in as many weeks. Rubin is growing both his game and mind (most importantly), and we are excited about what 2017 will look like this time next year for Rubin. Rubin has only been back training with Coach Heath and Lindsay for 6 weeks and is making rapid growth in his game and ranking. Last week Rubin won 6 matches to take the 128 Draw Title and earns a birth into New Haven. If he wins New Haven he will be granted a Wild Card into the US Open Qualies. Send some good vibes his way. He is working his tail off and quite a determined young KIWI! Quick background context…Maria joined the Strive environment at a beginner level almost exactly 2 years ago to the day. True story…our youngest player Kayleigh, at 9 years old at the time…who had only been with us for 6 months and was at an intermediate level defeated Maria 6-0, 6-0 in Maria’s Strive tryout session. That was a wake up call for then, 12 year old Maria, about how much work she had ahead of her to reach her lofty tennis goals. Without hesitation Maria willfully jumped on to the roller coaster head first and eagerly began her journey towards self realization. Fast forward 2 years almost to the day and Maria just achieved the almost unthinkable….last week Maria reached the finals of an 18’s Ga Level 3 tournament as a 14 year old. Out of all of our players accolades we are most proud about this single accomplishment…not because it is the highest in stature, but because of what it took for Maria to achieve this feat. Maria has lost much more than she has won on her journey, cried much more than she expected, learned much more about herself than she ever thought possible, and overcome more adversities than most players would ever consider enduring. You DESERVE it Maria and your perseverance is a joy to be apart of. It is an HONOR to have you as a student. Onward we charge together! What Does 8 Wins In One Tournament = ? 3rd and 5th Place? You Bet Ya! Well at least in this one it does. 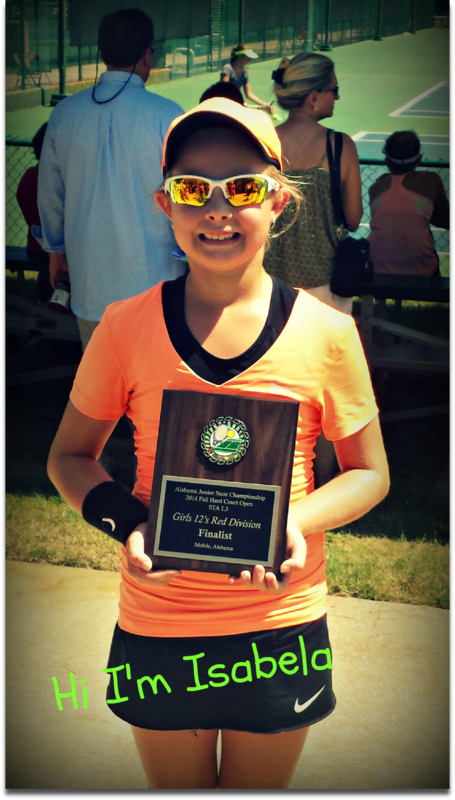 At 14 years old Katey is making nice gains playing up in the 18’s winning 6-0, 6-0 to capture 3rd place in the Ga Level 2 Tournament in Columbus Ga this past week. Katey provided the only loss to 13 year old Strive girl, Kelsey… who then went on a tear, taking 5 match wins total, with the last 3 being in tiebreaks for the 3rd sets winning the back draw and taking 5th place. It has been a 6 month journey of desensitization, game growth, frustration at times, and a lot of adapting to the 18’s division. Now with a pro tournament under their belt and a healthy and growing win loss ratio, playing up in the 18’s the rest of 2015 is looking very bright. Confidence is very high! Remember… only you yourself can determine your own limitations…we merely choose to turn a blind eye to ours :-). 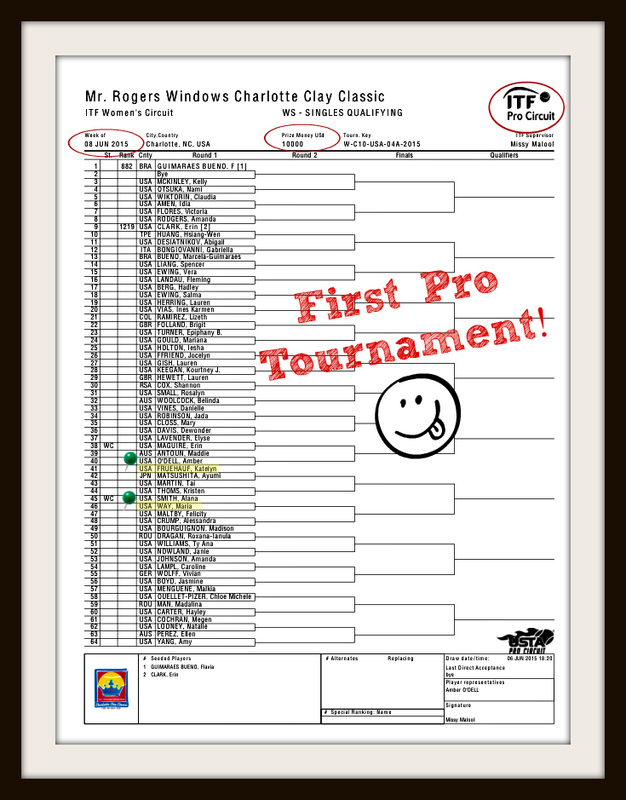 First Pro Tournament at 14 Years Old- Wahoo! Well it’s a big moment for these two young girls. Katey and Maria are looking forward to their experience of playing their very first $10,000 ITF Women’s Pro Circuit Event EVER! They luckily made it into the tournament and gratefully get to test their games against professional players. The only expectation the girls have is to gain valuable insight as to what and how they need to improve in order to reach this level of play one day. At 14 years old both girls have 4 years of opportunity ahead of them in order to learn how to adapt and overcome at this level… they are blessed to have this opportunity so they can see what bar they must reach in pursuit of their dream. It is difficult for one to remain on path if they are not certain where the destination leads. This weekend the GPS is turned on and the girls will get to finally see an alternate road and a glimpse of what possibly could be if they are willing to work their very hardest :-). Enjoy the experience girls! I Just Turned 10, Look At My Grin! We usually only put posts up when titles are won, but this is an exception because Isabela just turned 10 years old 14 days ago and earned a noteworthy post. Isabela came to us as a 9 year old from Mississippi back in February, and only had played with a real yellow ball 30 days prior to arriving. She had to try out a couple of times to even get into the Strive environment, but her perseverance and determination is now beginning to produce fruit. It is quite astonishing her progress. 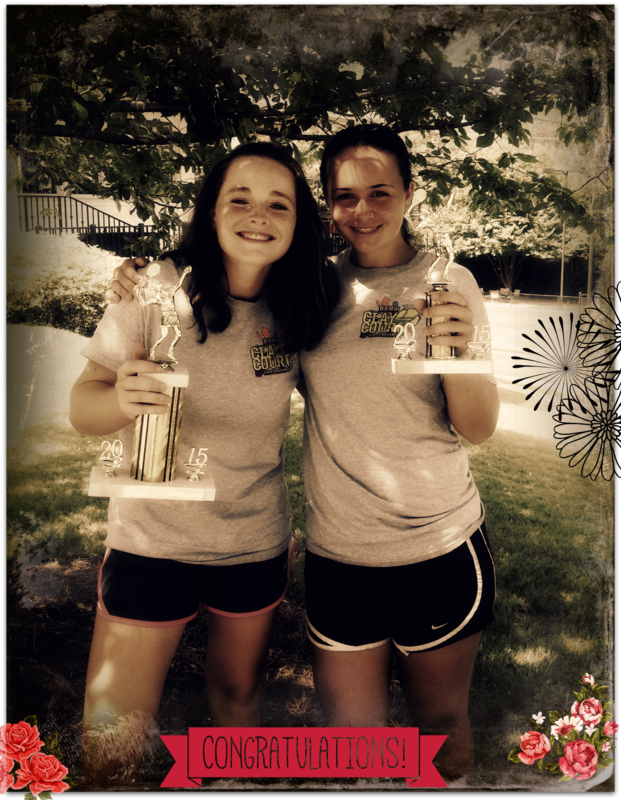 It only took her a whopping 6 months to make it to the finals of a 12’s southern level 3 event over this past weekend. Izzy must have been inspired by 12 year old Kelsey’s unseeded 14’s Southern Level 3 title run last weekend. Izzy was also unseeded playing up and knocked off a top seed en route to making the finals earning a 2nd place finish. Isabela’s hard work is beginning to pay off and we look for great things to come from Isabela over the next 12 months.